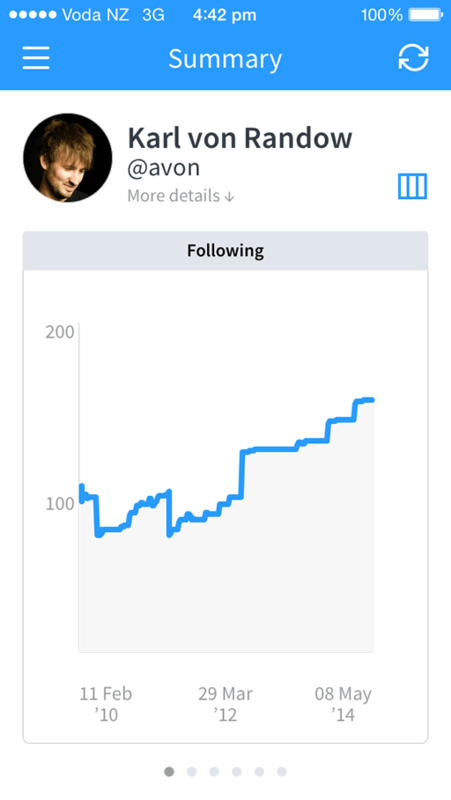 Birdbrain 3 for iOS 7 takes snapshots of your Twitter account and tracks changes in your friend and follower lists over time. 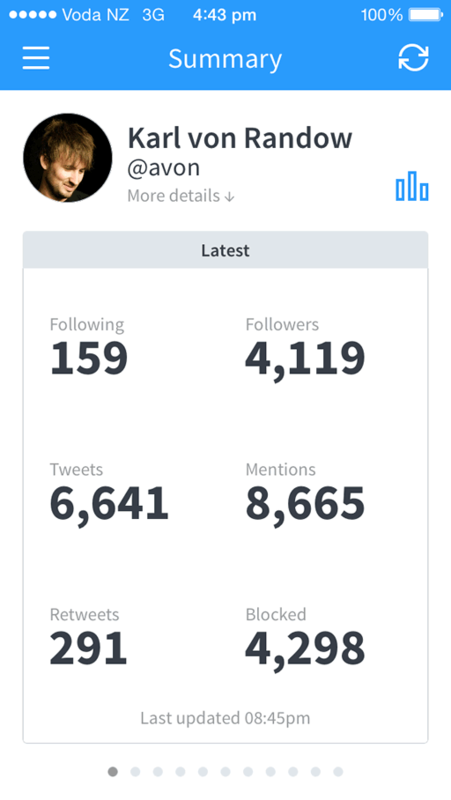 Birdbrain provides an overview of your friend, follower, retweet and mention counts, and shows changes to these over the last day, week, month and year¹. 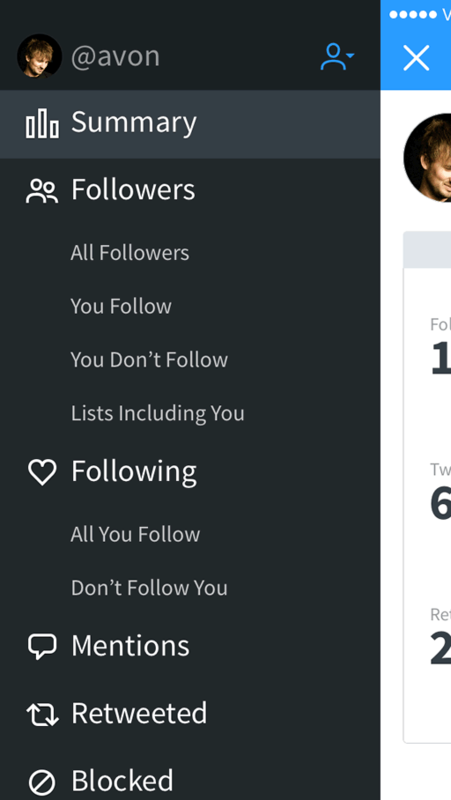 Tap on a user to load more information, and to follow, unfollow, see their timeline or block them. Easily manage both past and present friends & followers². Use Birdbrain to track as many accounts as you wish. The app stores individual statistics for each account you add. Search for a username on Twitter, see information about that person, and easily follow, unfollow, visit or block them. Follow @birdbrainapp on Twitter for news and updates, and email feedback@birdbrainapp.com to give feedback or report issues. ¹ Birdbrain stores Twitter friend and follower statistics from the first time you use it, so you’ll need to wait at least a full day to see differential data in the Summary view. 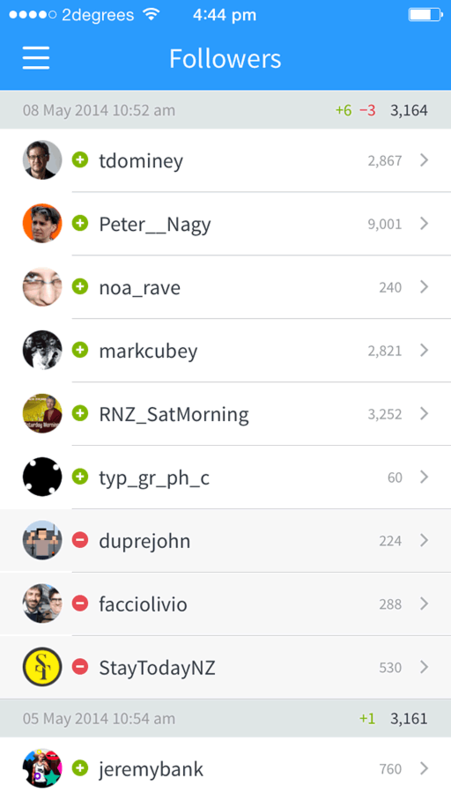 ² Some users are displayed in Birdbrain as a number rather than a username. These are users that were removed before Birdbrain loaded their details, or accounts that have been suspended by Twitter.